Self-adhesive. Excellent resistance to soft coating, tile, wood, glass, laminate flooring, natural stone, smooth concrete. Ideal for signaling potentially dangerous areas (staircase, pole, obstacle) to make buildings accessible to people with visual impairments. Hazard warning surface (before strairs) for people with visual impairments. Aesthetic solution with respect for visual contrast and anit-slip requirements. High quality 3M type of adhesive is used to ensure proper gluing on the floor. Dots shouldn’t be glued on varnished surfaces/greasy surfaces. Grease should be properly removed from surface to be fitted thanks to some solvent (alcohol based for instance). We have more than 5 years’ experience with these products and no issue came up except one, in a swimming pool where remaining water was surrounding the dots. Ideal warning device: for potentially dangerous places (i.e. 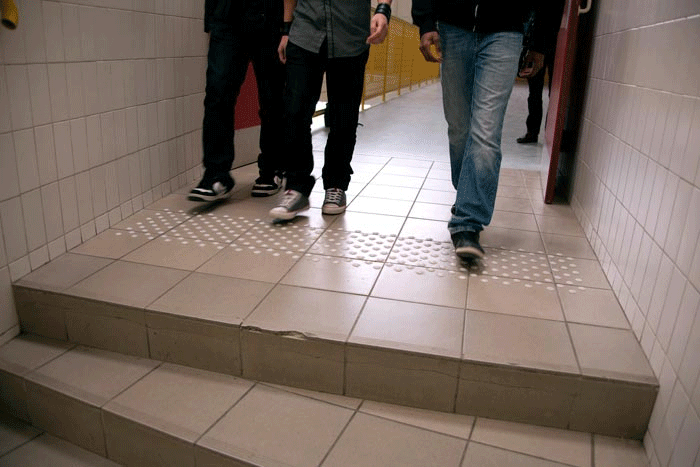 : stairs), for persons with visual impairments. 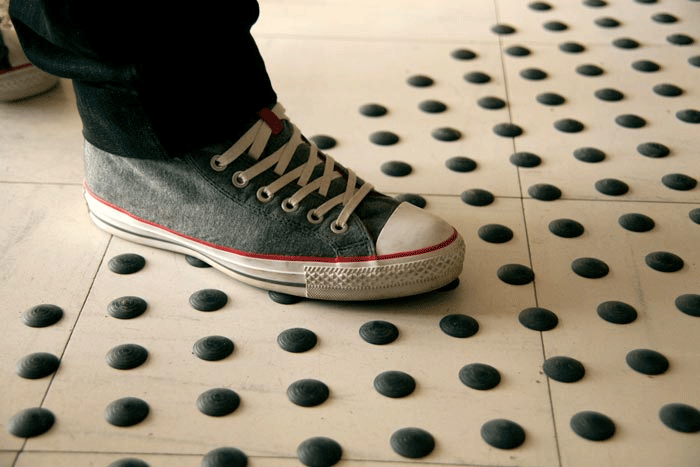 Aesthetic: solution with respect of visual contrast floor/dots. Excellent fit: on flexible pavement, tile, wood, glass, laminate flooring, natural stone, smooth concrete. 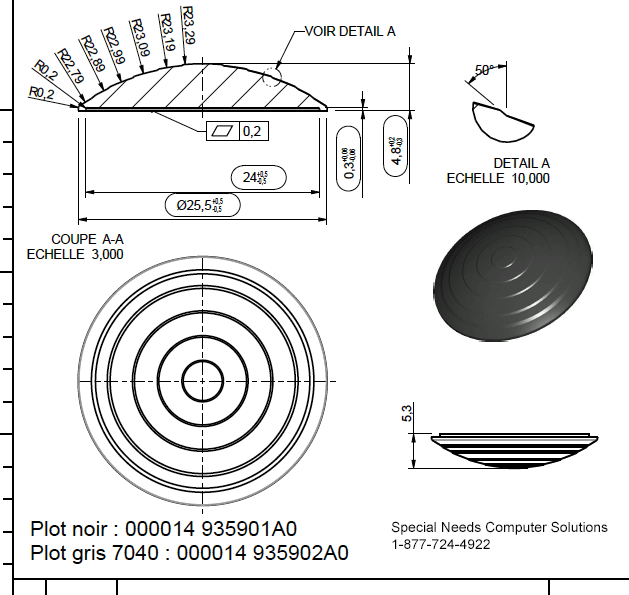 Mounting Sheet: 313 x 313mm | 13.4" x 13.4" with 32 composite Tactile Dots. Simple: effective and reliable imiplementation of the kit, installation by one person without tools or glue. 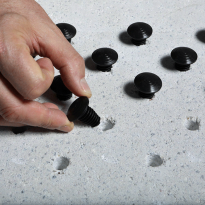 Self-adhesive last generation solution for sustainable holding on the floor: good mechanical, chemical and thermal strength. Techno-polymer solution: in compliance with implementation in a pool or bathroom (no cold sensation when walking bare foot on the device). Creation of a tactile warning band by indexing mormalized mounting plates (including width of 313 mm for indoor use, length adapatable to the configuration of the plade). 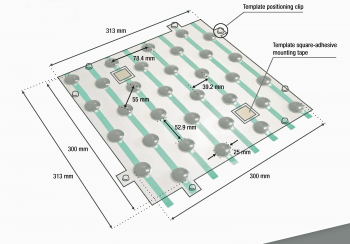 To simply the implementation, mountig sheets are temporarily held in position on the ground with repositionable adhesive. 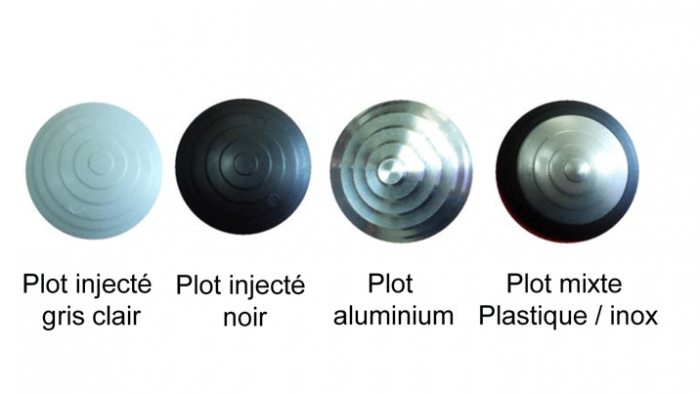 Dot in injection techno-polymer material, diameter 25 mm, height 5 mm, with anti-slip surface withstriations (NF P98-351). Glue stability on different supports after temperature variation and resistance to saline mist. Shear strength of the adjesive after staying ot different chemicals. Shear strength of the adhesive bond. Shock fatique strength of the adhesive bond. 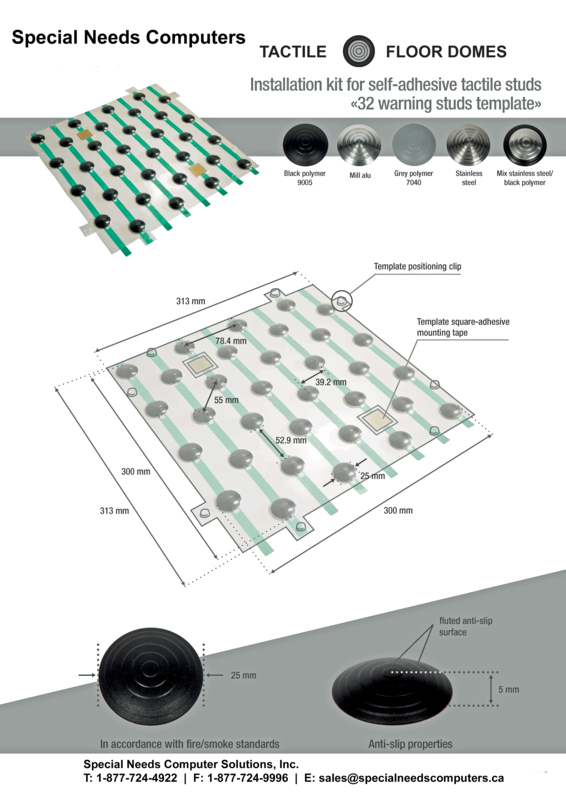 Creation of a tactile warning band by indexing normalized mounting plates (reduced width of 340 mm for indoor use, length adaptable to the configuration of the place). 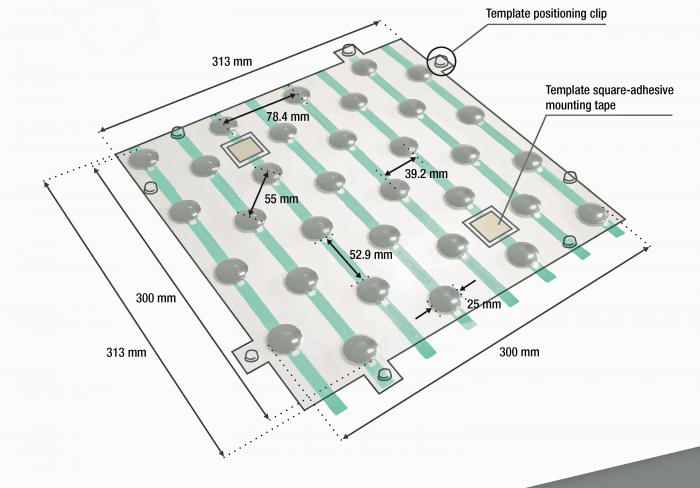 To simplify the implementation, mounting plates are temporarily held in position on the ground with repositionable adhesive. Simple, effective and reliable implementation of the kit. Installation labour: One person without tools or glue. Installation time: <10 minutes per linear meter. We have more than 5 years experience with thes products and no issue came up except one in a swimming pool where remaining water was surrounding the dots. Testing Different Materials for (Outdoor) Tactile Walking Surface Indicators – Pilot Project Evaluation Report by the City of Toronto's Pedestrian Projects Unit in Transportation Services.